IS KNOWING WHERE THE STONES ARE! Need Help to Demystify Marketing? We'll help you to develop and implement innovative marketing and communication plans and programs. For over two decades, we've worked with high-tech and services-based companies like yours, taking the mystery out of marketing, and helping you discover the mastery and the magic. Looking for entertaining keynote speeches or educational seminars and marketing workshops? We can help you there too. 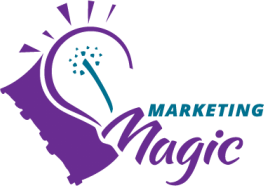 Whether you want to improve customer service and complaint handling, understand how to sell a service versus a product, or are interested in the highly popular Marketing Mastery Workshop, let us help you unleash the magic of marketing knowledge. Walking on water is easy. Let us show you where the stones are.